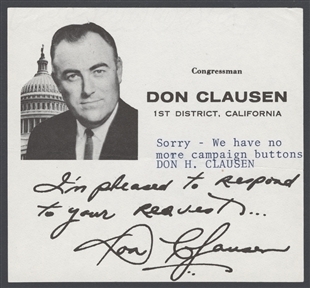 Representative Don Clausen, like many Members of Congress, used pre-printed note paper that accompanied pamphlets, documents, or photographs that constituents requested. 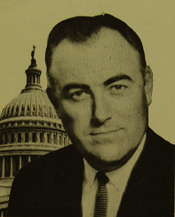 An image of the Congressman with the Capitol dome accompanies the printed message and signature. 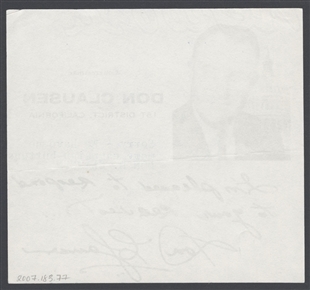 In this case, the hopeful requester also received a typewritten answer - the office had run out of buttons.